Each team must register with race officials. To register your relay team, please click the link below or contact Dana Cox to join an existing team. 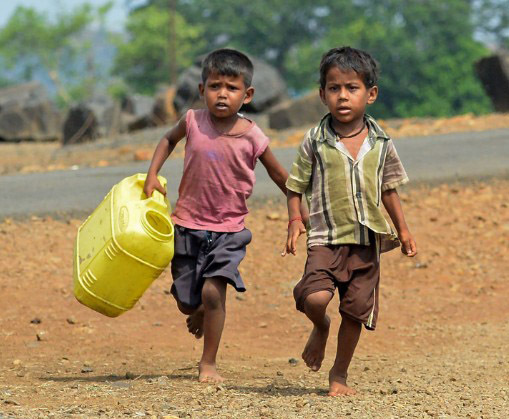 We are excited to be participating in the 2019 Harrisburg Marathon on November 10th to raise money for water wells in India and other parts of the world. Many people around the world are in desperate need of clean running water. It is our desire to use this run to raise funds toward a water well, as well as show God’s love and care for His people. We challenge each runner to set a goal to raise $100 for every mile they run. 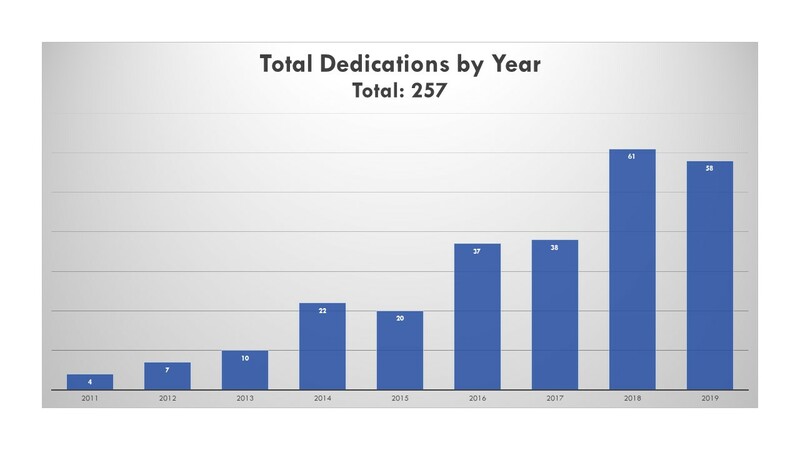 In this case, every marathon team (up to 4 runners totaling 26.2 miles) will produce 1 fully installed, ready-to-use clean water tube well for an entire village. Runners can use the links to the left and the stats below to get started. On average, every 5 dollars given can provide 1 person clean water for a lifetime. All businesses and individuals financially supporting our efforts will receive a picture of the water well and village impacted, as well as the GPS coordinates of the location of the well. All donations are tax-deductable. Runners/walkers, volunteers, and church members raise money for every mile run by team participants to build water wells in India & Africa. Age: The minimum age for a participant in the Harrisburg Marathon is 15 years old for full marathon participants and 13 for relay participants. Waivers are required for runners under 18. Start: 6:30AM – Walkers start on City Island; 8:00AM – Marathon & Relay Team Runners start on City Island. All participants should be at City Island or their relay exchange point at least 30 minutes before their start time. The first and second relay exchanges will be at the PA Dental Association, which is located at 3501 N Front St, Harrisburg, PA 17110 and the third relay exchange will be on City Island. The finish is in Harrisburg on the intersection of 2nd/Locust St. Mailed Registration- Please print registration forms from the Harrisburg YMCA webpage and mail registration, wavers, and fees in. Prices increase exponentially if you do not register by October 10th. After October 10th, relay team prices jump from $200 to $280. Mailed Registration - To by-pass the online registration fees, individuals/teams can mail in race registration, waiver form(s), and payment to the Harrisburg YMCA. To get the discount rate on mailed registration, “Team Running Water” must be written at the top of the registration paper along with the appropriate coupon code shown above. Make all checks payable to East Shore YMCA, Attn: Tom Gifford. A pre-race rally will be held on the afternoon (time: TBD) of November 9th, 2019. Here, Runners and Relay Team members can pick-up YMCA race-day packets (including race bib, shirt, & extras), as well as official ‘Running Water for the Living Water’ Race-day shirts. Tables will be designated for both pick-ups. The pre-race rally will also include race-day information, testimonies, and much celebration. The GRAND TOTAL of funds raised will be announced. Be expecting great things from our MIGHTY GOD, both financially and spiritually. If Runners and Relay Teams would prefer to get their YMCA materials at the designated YMCA pick-up, this is possible as well. YMCA pick-up times are listed below. The YMCA states that Walkers must pick up their packets prior to Race Day. You may also pick up a packet for a friend/team member at the YMCA packet pick-up. No shuttle services are provided. The walk to City Island is approximately 1/2 mile from the Hilton Hotel, the host hotel for the 2015 race. All lanes from the East Shore (Downtown Harrisburg) to City Island on the Market Street Bridge will be closed to vehicular traffic for the start of the race, approximately 7:30AM to 8:20AM. Water stations are located approximately every 2 1/2 miles. Volunteers will be released from their stations based on a 13 minute pace and the finish line will close at 2:00PM. We cannot guarantee that you will find water or food after the course is closed. If you do not think you can complete the course by 2:00, please ask a water station volunteer to arrange for an assistance vehicle. Depending on the number of miles you are running, we encourage/challenge you to set a goal of raising $100 per mile. That should be your aim. We encourage the team captain to attempt to raise the most even if they are not running the longest leg. Create a new team – After you create a new team you can then add yourself as a runner on that team. You can be the team captain or assign another team member as the team captain, or decide those details later. We suggest using the running water for the living water logo as your team page logo. Create a runner page – you can join an existing team, create a new team (see above), or not join a team at all. You should definitely add a picture. Create a team goal – you can do this when creating your team. Or save the goal for later after discussing with your team. Your team goal should be at least $2600 but can be higher if you want to push yourself further. Create a runner goal – we recommend your goal match the number of miles you will personally run, (run 5 miles = $500 goal) but you can make it whatever you want. If you have any questions about Flipcause, email Matt Riggins at mriggins@gpartners.org. We run so they don't have to. According to the World Health Organization and UNICEF, regions with the lowest coverage of "improved" sanitation in 2006 were sub-Saharan Africa (31%), Southern Asia (33%) and Eastern Asia (65%) 2. *An improved water source is defined as water that is supplied through a household connection, public standpipe, borehole well, protected dug well, protected spring, or rainwater collection. Prüss-Üstün A., Bos, R., Gore, F. & Bartram, J. 2008. Safer water, better health: costs, benefits and sustainability of interventions to protect and promote health. [PDF - 60 pages] World Health Organization, Geneva. U.S. Census Bureau. International Programs Center: Population Clocks. Liu L, Johnson HL, Cousens S, Perin J, Scott S, Lawn JE, Rudan I, Campbell H, Cibulskis R, Li M, Mathers C, Black RE; Child Health Epidemiology Reference Group of WHO and UNICEF. Global, regional, and national causes of child mortality: an updated systematic analysis for 2010 with time trends since 2000. Lancet. 2012 Jun 9;379(9832):2151-61. Cutler D, Miller G. 2004. The role of public health improvements in health advances: the 20th century United States. [PDF - 50 pages] National Bureau of Economic Research. Working Paper 10511. Cambridge, MA, USA. Hotez PJ, Molyneux DH, Fenwick A, Ottesen E, Ehrlich Sachs S, Sachs JD. Incorporating a rapid-impact package for neglected tropical diseases with programs for HIV/AIDS, tuberculosis, malaria. PLoS Med 2006;3(5):e102. World Health Organization. Soil-Transmitted Helminths. International Trachoma Initiative. What is Trachoma?